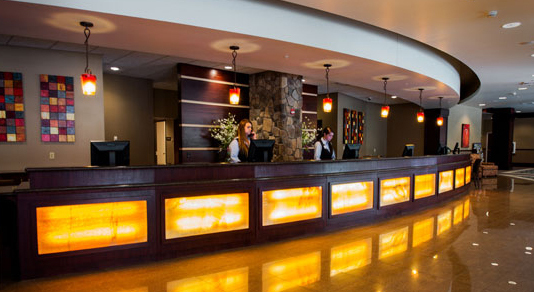 Located right off I-5 at Exit 99 in Canyonville, Seven Feathers Casino Resort offers gaming fun, spa relaxation and luxurious lodging all in one place. Among the Nevada-style games are slots, bingo, keno and table games, with a non-smoking area as well. Guests of the 300 deluxe hotel rooms can enjoy spa services at the River Rock Spa, take a dip in the pool or work out at the fitness center. Also nearby are the Seven Feathers RV Resort and Convention Center.